Yellow and black sign wall sticker showing the icon of a surfer holding a surfboard, from our collection of surf wall stickers. Do your love surfing? This sign decal is perfect for you! Apply it to any flat surface and show off your love for the sport! 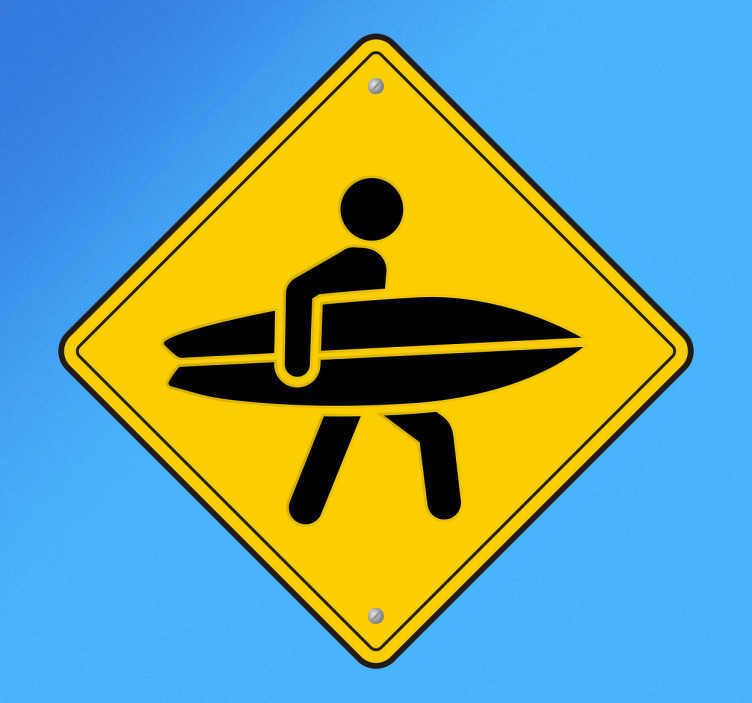 This eye-catching sign sticker is perfect for decorating your bedroom or showing people that your business or restaurant loves surfing and welcomes surfers of all kinds.